The United Nations Environmental Program estimates that each year, more than 8 million tonnes of plastic ends up in the oceans. 8 million tonnes! Now if you are having a hard time getting your head around that figure, it is equivalent to three times the combined weight of person in Canada. This plastic wreaks havoc on marine wildlife, fisheries and tourism, and costs at least $8 billion in damage to marine ecosystems. Up to 80 per cent of all litter in our oceans is made of plastic and by 2050 oceans will carry more plastic than fish. The debris that reaches BC waters degrades the wilderness experience, entangles and poisons marine mammals, and can pose risks to navigation. Recent studies of fish and shellfish in BC supermarkets have found plastic in the flesh of the food that we buy. Living Oceans has been working to Clear the Coast of Vancouver Island since 2014. 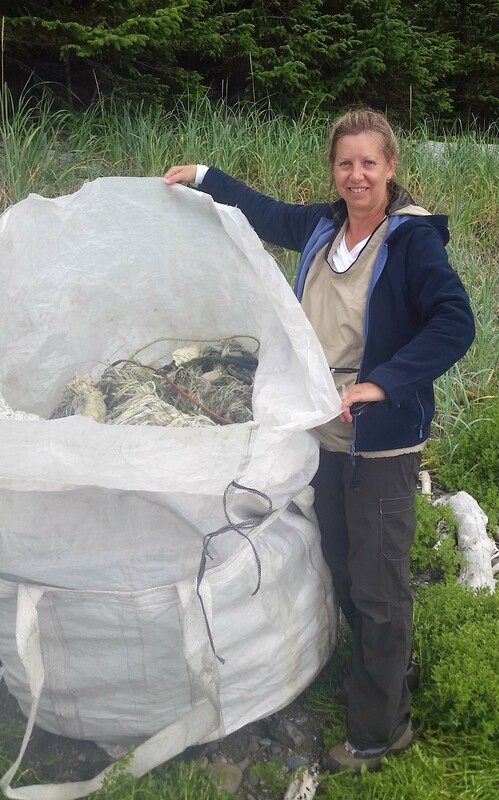 We've removed about 25 tonnes of plastic and there is more arriving each year--it would be unthinkable to leave that material to build up on the rugged, beautiful shores of Cape Scott. Yet today, there is no funding in place to support debris removal work. Help us change that: write today to Fisheries Minister LeBlanc and ask him to develop a strategy and a fund to deal with marine debris. Enter your information below, then click "submit". Your email will be signed and sent automatically.